Flights—a lineup of three, four, five, or more sample-sized servings—are a requisite feature of winery and brewery tasting rooms. But why put a limit on the spirit of trying something new? Luckily, bars and restaurants around Boston are not, offering everything from classic cocktails, to under-the-radar spirits, cold brew coffee, ice cream, and more in this style. 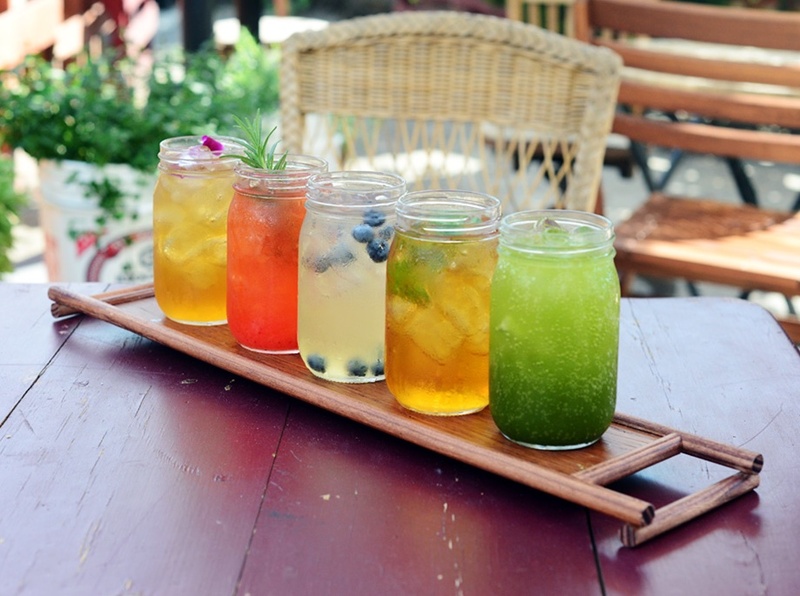 Boston’s first cold brew tea bar always has six or eight different teas on draft every day, which you can order as a still or sparkling beverage. Can’t choose between hibiscus, or matcha, or sparkling passionfruit mango black tea? You don’t have to. Five different, 12-ounce pours come on a traditional tea tray from owner Evy Chen’s hometown in China. On the weekends, you can even try the seasonal mojito special on the flight. $10, 253 Armory St., Jamaica Plain, 857-264-6106, coldbrewedtea.com. Formaggio cheese “flight” photo courtesy of Lamplighter Brewing Co.
Formaggio Cheese at Lamplighter Brewing Co.
You can always find beer flights at this Cambridge brewery, but every Wednesday, the Formaggio Kitchen crew comes in with a selection of products to pair with the house brews. 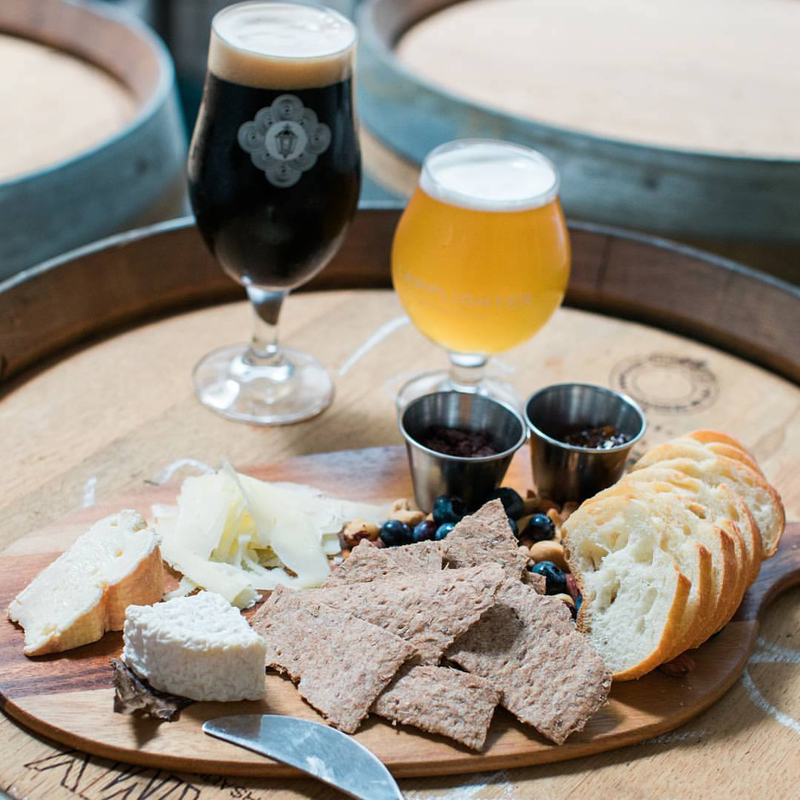 Create your own flight with three cheeses, two spreads, Brewer’s Crackers, and fresh bread. $15, Wednesdays, 5-9 p.m., 284 Broadway, Cambridge, lamplighterbrewing.com. Located in conjunction with Lamplighter Brewing Co., this café had the 4-ounce glasses and flight trays at the ready. During café hours, Longfellows offers a lineup of four different cold-brewed beverages: Their signature coffee, a nitro pour, dry-hopped cold brew (really! ), and cacao brew. The latter beverage is coffee-free, instead made with cold-steeped TCHO cacao nibs and just a dash of sugar. You can also substitute Longfellows’ house-made Jasmine Tea Sparkler for one of the cold brews on the flight. 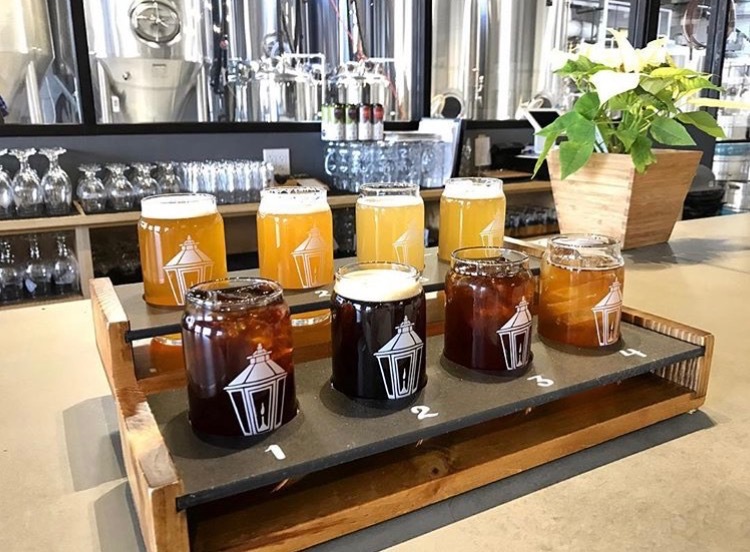 Of course, Lamplighter Brewing offers flights, too, and many of the food purveyors it hosts get in the spirit during pop-ups, too—snack flights, anyone? $6, 284 Broadway, Cambridge, longfellowscambridge.com. Sundaes are so old-school. 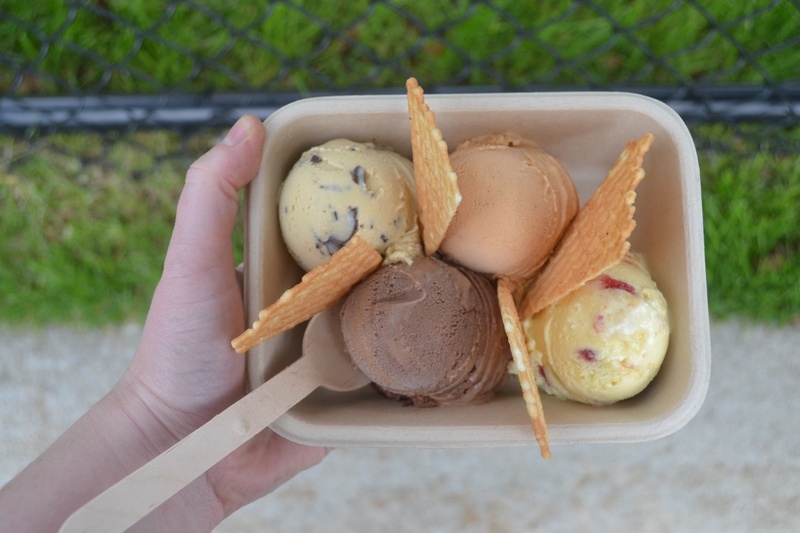 At her ice cream shop, Kristen Rummel will scoop four different flavors, like honey lavender, and cinnamon dulce de leche, into a flight tray for you, and serve it with house-made waffle cone chips. You can also add any other toppings you’d like. Starts at $8, 1702 Massachusetts Ave., Cambridge, 617-714-3983, honeycombcreamery.com. 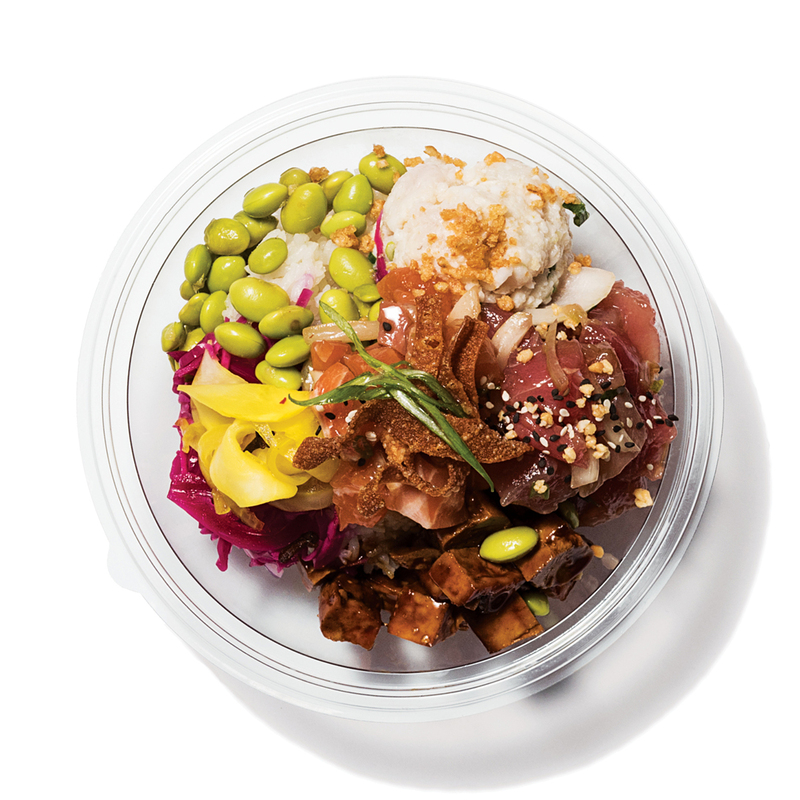 This Hawaiian snack of marinated, raw seafood is having a full-blown moment, so who could blame you if you can’t choose between ahi or salmon? At this Somerville shop, you don’t have to. Choose three of the house styles, including the catch of the day, to have over rice or greens, with two sides. $19.95, 300 Beacon St., Somerville, 617-945-1042, manoa.fish. All the booze available at this brand new bar is made in-house, and owners Will and Dave Willis are very proud of that. To show it off, there are spirit flights, but there are also lineups showcasing riffs on classic cocktails, like daiquiris and Moscow mules. 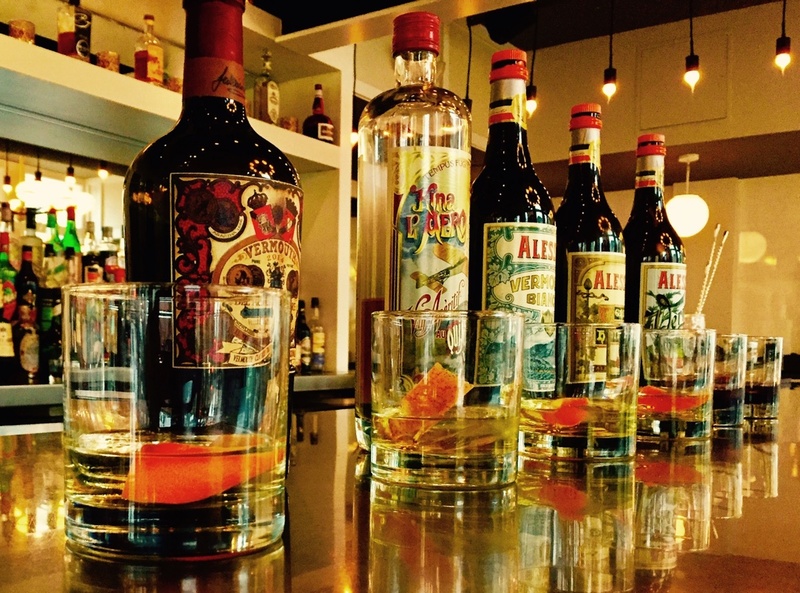 Think you know an Old Fashioned? 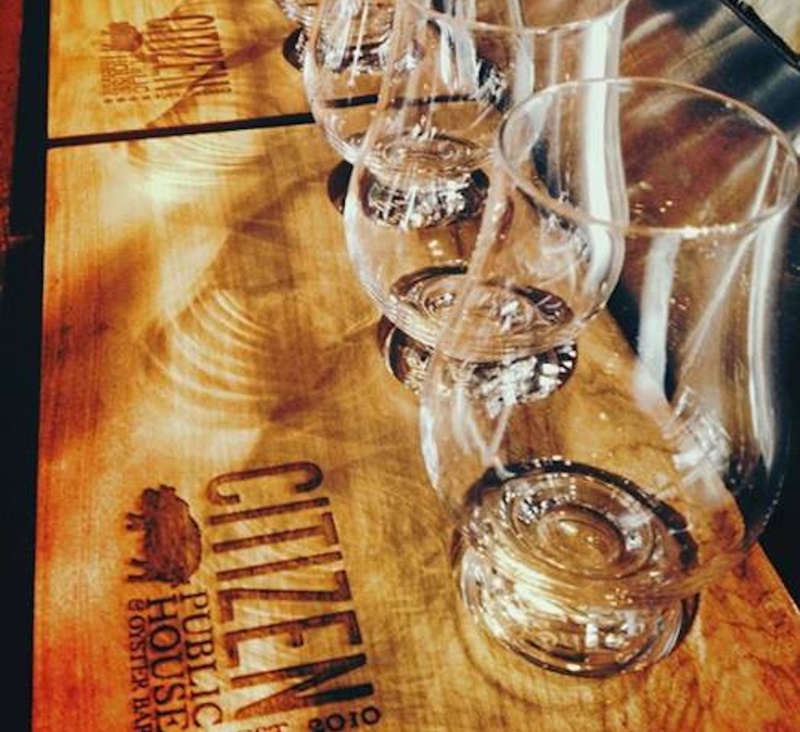 Think again—that flight features a gin Old Fashioned, one made with rum and aged in a wooden cask, and the classic. 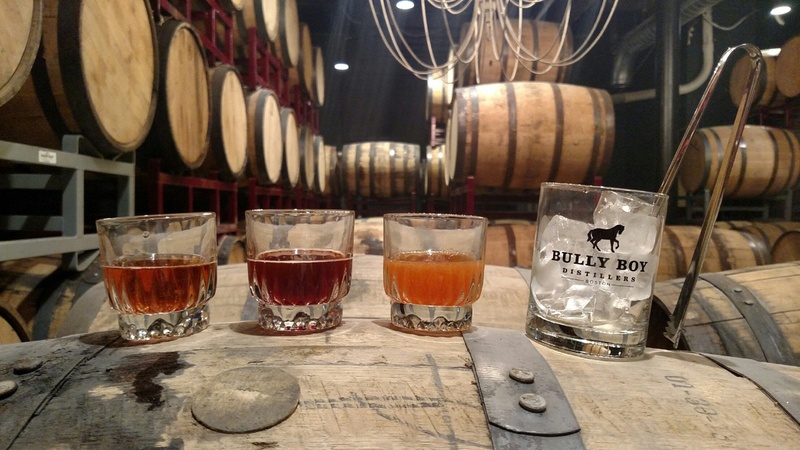 $12-$15, 44 Cedric St., Boston, 617-442-6000, bullyboydistillers.com. The reincarnation of T.W. Food is classically French—it’s where chef Tim Wiechmann trained, and he and wife Bronwyn lived there for a time. While they were there, they grew to love digestifs, like cognac, armagnac, Calvados, and chartreuse. All four of those spirits are available in flights of three, for Cantabrigians who want to get more familiar with the after-dinner sippers. $28-$49, 377 Walden St., Cambridge, 617-864-4745, selfportraitbistro.com. If you go to a traditional tapas bar in Spain, chances are you’ll have a gin and tonic. To pay homage to that custom at the totally nontraditional Pagu, beverage consultant Tom Schlesinger-Guidelli had an idea: a DIY gin and tonic flight, which serves four. 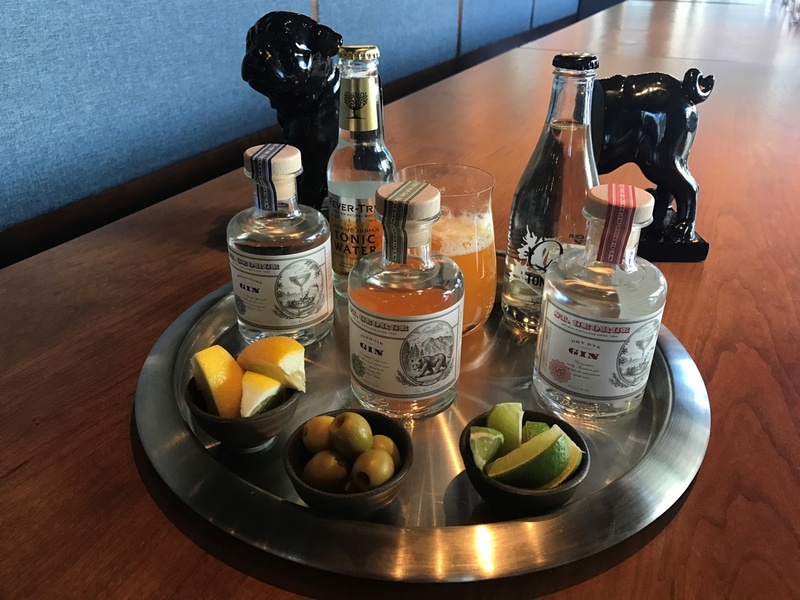 The tray comes with three different St. George gins, plus house-made lemongrass tonic, Q Tonic, and Fever Tree tonic, and the requisite garnishes. $70, 310 Massachusetts Ave., Cambridge, 617-945-9290, gopagu.com. A good mimosa can make a weekend—so how about a boozy, fruity quartet? 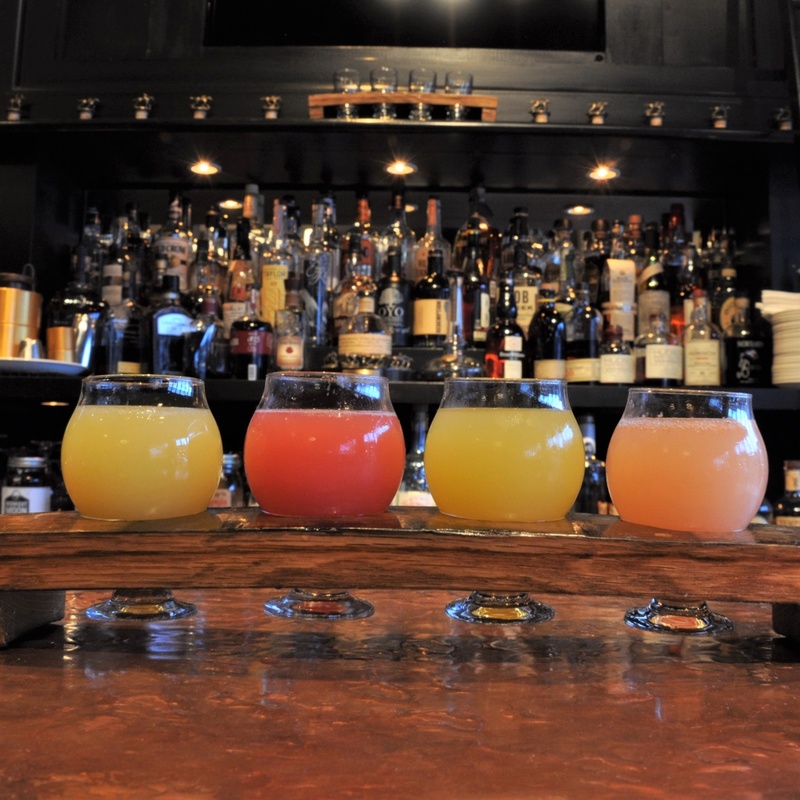 Every Saturday and Sunday brunch, both the Davis Square and South End restaurants offer a rotating selection of fresh juices, from orange, to grapefruit, prickly pear, peach-guava, and beyond. For the mimosa flight, they’re spiked with Beato Bartolomeo Bregaze Prosecco, and lined up on a custom flight board that owner Dylan Welsh made from recycled whiskey barrels. $16, 400 Highland Ave. Davis Square, Somerville, 617-764-1655, 535 Columbus Ave., 617-936-3930, fivehorsestavern.com. Tapas are, of course, great to mix-and-match, so in the spirit of this restaurant, the team periodically offers different flights from beer to mezcal. Currently, there is a quartet of sherries from one of Spain’s best-known producers, Gonzalez Byass. 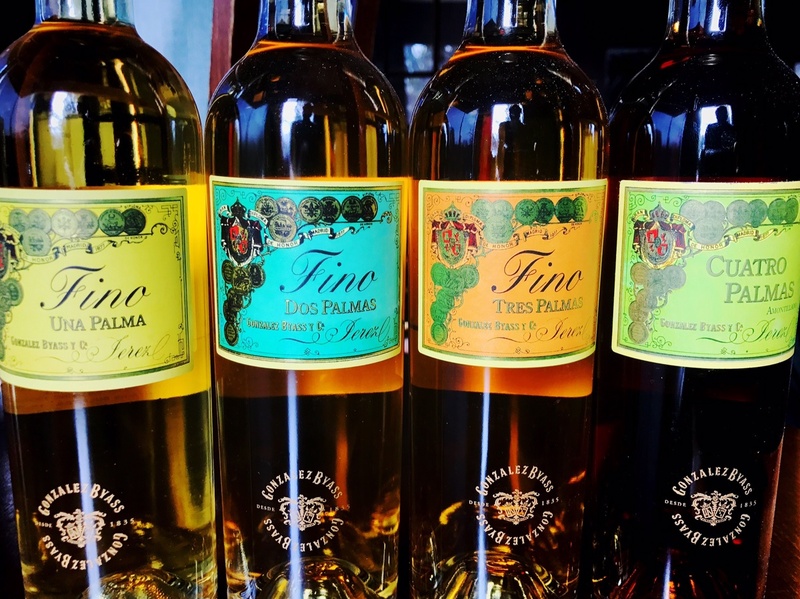 The “Palmas” series shows the progression of natural aging process. Typically, an amontillado sherry is created by a secondary addition of neutral grape spirit, says owner Keith Harmon, but this version naturally evolves. Try it for yourself with four, 1.5-ounce pours. $44, 470 Centre St., Jamaica Plain, 617-477-4851, tresgatosjp.com. 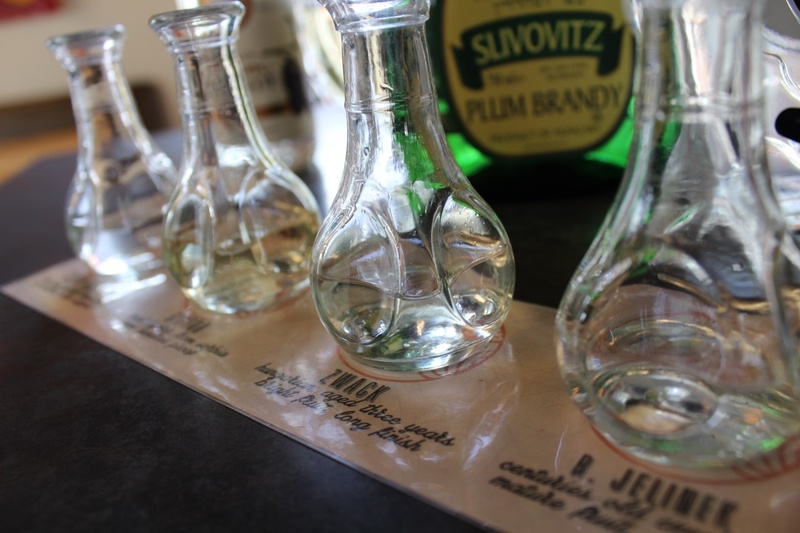 What is slivovitz? Co-owner Evan Harrison was expecting this question a lot when his team’s modern Jewish deli opened last year, so he got ahead of it by putting an educational flight of the punchy, Eastern European plum brandies on the menu. “It’s a celebratory drinking tradition for Ashkenazi Jews, which is unique, because there’s not a lot of [alcoholic] drinking traditions you can tie to a Jewish deli,” Harrison says. Mamaleh’s carries six different slivovitz varieties from the Czech Republic, Serbia, Hungary, and even Oregon. Four half-shot portions come per flight. $15, One Kendall Square, 15 Hampshire St., Cambridge, 617-958-3354, mamalehs.com. For nearly 20 years, this South End spot has been a haven for tequila fans, with more than 100 agave spirits on the shelves. Don’t know where to start? Masa also offers a strong list of flights, from a trio of un-aged blanco tequilas, to three Del Maguey Single Village mezcals, which derive their flavors from a unique microclimate. Planning a party for a tequila lover? The restaurant also offers a Tequila Tours package for groups, with a custom flight, a plate of tapas, and a margarita-making demonstration (and one to drink, of course). $22-$26, 439 Tremont St., Boston, 617-338-8884, masarestaurant.com. 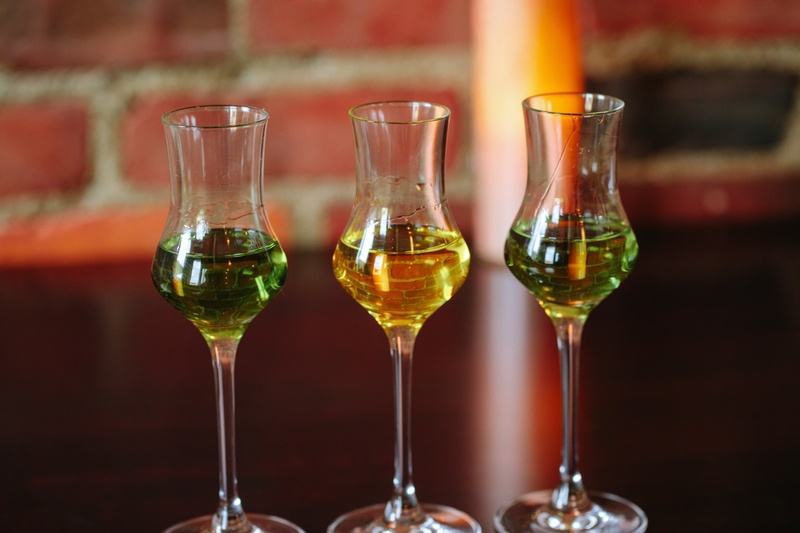 Chef Douglass Williams’ debut has a strong lineup of European vermouths with new varieties coming in daily. Bar manager Gregg Guertin makes it accessible with three different flights, including a White Flight of light, aromatic varieties, and a trio from the oldest vermouth-producing estates in Italy, Spain, and France. Each pour is served on the rocks with a twist that highlights its nuances. $13, 782 Tremont St., Boston, 617-936-3490, midaboston.com. Want a leg up on learning about whiskey? This Fenway pub offers weekly flights, complete with tasting notes and background information about each of the three, 1-ounce samples before you. 1330 Boylston St., 617-450-9000, citizenpub.com. $15-$23, 774 Boylston St., Boston, 617-262-3023, lespalier.com.